We're showing information for 61061. Customers and consumers are more informed concerning their purchasing options than ever. They look at their many choices, choosing the business that can best address their specific needs. That means the Illinois market is always getting more competitive. Business owners in Oregon, IL are constantly battling to attract new customers, which also increases the need for fast, reliable connectivity. Get a Frontier Business package to outfit your business with phone and Internet services—including Business High Speed Internet—and and never lose customers due to poor communication or support again. No business can survive in The Prairie State without the right tools. Frontier’s services for small businesses offer features that will help your business grow, all while enhancing your relationships with current and future business partners. In the Oregon region you’re contending with other companies for new customers, but you’re also fighting for the best employees—as the job-growth rate is expected to be an average of 15.78 percent. With Frontier you’ll have the advantage you need: Conferencing helps keep your employees communicating and working toward their goals. Managed IT can help you keep information secure while you communicate with customers and employees. Boost sales and promotional support with Texting, and maintain a healthy, lucrative online presence through Web Hosting and Development. Illinois is a growing market for many businesses, which means a lot of localized firms are entering expansion phases. Though progress is great, expansion can present your business with new challenges. Thankfully, it’s possible to expand while minimalizing growing pains and ensuring longevity with Frontier’s Enterprise Solutions. Consider your ever-increasing bandwidth needs and constantly changing requirements for connectivity. Frontier’s scalable Ethernet systems come with a Local Area Network and Virtual Private Line, so you will have the support you need, exactly when you need it. Plus, you’ll have secure access to online resources and data through Frontier’s IP Virtual Private Network. Being able to successfully handle an expanding workload is just part of doing business in a market like Oregon. Fortunately, Frontier provides additional tools that will help put you ahead of the game. To customers, there’s no substitute for exceptional service. 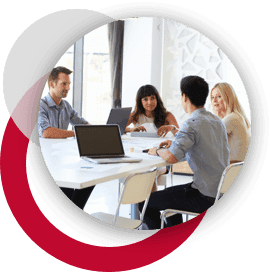 Frontier Communications will keep you connected to your customers with reliable phone lines that come with superior sound-quality. Plus, Centrex from Frontier provides businesses like yours with high-quality phones that include both standard features you expect and advanced features that you need to get ahead. Frontier also includes hosting, network design, equipment, and monitoring services—so you can focus on meeting the demands of your The Prairie State customers, while we deliver you secure communication. 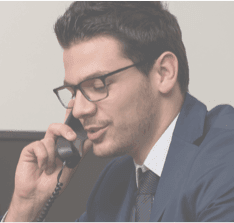 Your business will also benefit from crystal-clear sound quality, Voicemail, unlimited nationwide calling, Caller ID, and sophisticated features like voice-to-email integration with Frontier’s Hosted VoIP solution. Does your business take cybercrime seriously? In 2013, a reported 0 Illinois businesses and individuals were cybercrime victims. Fortunately, Frontier Secure can help protect the data that keeps your business running. Your online information can be secure with Frontier Secure’s malware and virus protection, cloud backup solutions, and superior technical support. Additionally, Frontier helps Illinois business owners protect certain physical assets through its equipment replacement program. Featuring speeds as fast as , Frontier Internet is an ideal solution for just about any business. A faster Internet connection helps your business stay competitive. Less time spent downloading and sharing files means more time for serving customers. Frontier has both the speed and protection that you need to stay ahead of your competition in Illinois markets, so sign up now!